Who is your target market & does your story resonate with them? Impact Marketing & Branding Strategy. Learn key tools to understand the market in which you operate. Define a personal and enterprise brand strategy. Understand social media and other marketing methods to create a trusted brand. “Time to get off the social media marketing merry-go-round that goes faster and faster but never actually goes anywhere. Time to stop hustling and interrupting. Time to stop spamming and pretending you’re welcome. Time to stop making average stuff for average people but hoping you can charge more than a commodity price. Time to stop begging people to become your clients, and time to stop feeling badly about charging for your work. Time to stop looking for shortcuts and time to start insisting on a long, viable path instead. Time to start contributing. There are lots of ways to embrace modern marketing, but the there’s no doubt that you’ll be better off once you do. 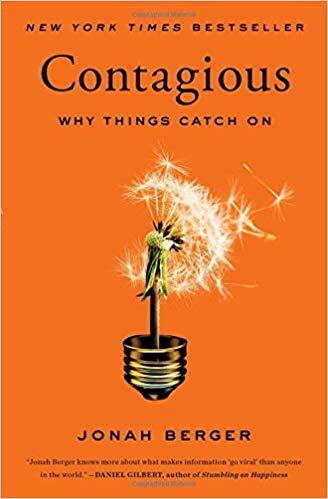 Seth Godin argues the Internet has ended mass marketing and revived a human social unit from the distant past: tribes. Founded on shared ideas and values, tribes give ordinary people the power to lead and make big change. He urges us to do so in this video. A brand is constantly evolving and takes time to develop and build. Just because you went and got a logo designed, it doesn’t mean you have a brand. The value of your brand (which you build over time) will give your logo (and other collateral) its value. Don’t let designer’s tell you they’ll create a brand for you. They won’t. The experience and quality you provide for your clients and beneficiaries, alongside the trust you build and value you deliver will determine how you your brand is perceived. When someone experiences what your enterprise provides, your brand emerges as the average value of all of the touchpoints and ways people interact with you. Remember, trust takes time to build, but is lost very quickly. Your brand is your essence, your purpose, your why and what you actually deliver to your clients. It’s you, how you live, the value you promise to deliver and what your clients expect of you. Branding is how you communicate your brand to the world. How do you clearly convey your brand? What is the narrative you tell? Designers can help here, but they probably won’t do it well if they don’t understand who you are first. Here are a few design basics to reflect on with your branding collateral. The 4Ps or marketing mix has long been around and was first coined by McCarthy in 1960 as a way to describe the four most common variables when crafting a marketing strategy. This was later extended to 7Ps. If you’re unfamiliar with either model, it’s certainly a good tool to reflect upon how you are providing value at the right place, price and time. Take a look at this video to better understand what the marketing mix is all about and how you can apply this to your social enterprise. Define offerings by the needs they meet, not by their features, functions, or technological superiority. Develop an integrated cross-channel presence that considers customers’ entire purchase journey instead of emphasizing individual purchase locations and channels. Articulate the benefits relative to price, rather than stressing how price relates to production costs, profit margins, or competitors’ prices. “It is far more lucrative and fun to leverage your strengths instead of attempting to fix all the chinks in your armor,” says Tim Ferriss. Using the SWOT below, map this out for your social enterprise. SWOTs should be dynamic documents, so if it’s been a while since you mapped it out, take the opportunity to reflect. How can you turn your weaknesses into opportunities? How can you do more of what you do well? Keep bringing this back to how you are delivering value to your target market. Within social enterprise, we prefer to think in terms of collaboration rather than competition. Finding ways to provide win-win opportunities with others in the sector is much more beneficial for all involved than competing. It is however, important to understand what makes you UNIQUE. Why would someone choose your product or service over another one? What’s your Unique Selling Proposition? Without understanding your USP there’s a good chance what you provide will become irrelevant, very quickly. Think about your favourite social media channels. Why do you like them? How do they provide value for you? Do they constantly advertise their services? What do they provide via social media that you enjoy? How have they built trust with you so that you look out for their next post? “Tweeting more often doesn’t make your tweets have more resonance. On the other hand, product design and user interaction definitely benefit from the frying pan approach. Extraordinary products, remarkable stories, intense connection via user interaction - these things actually do scale quickly. Social media is a marathon, a gradual process in which you build a reputation. The best time to start was a while ago. The second best time to start is today” says Seth Godin. Where do your clients hang out online? Whilst you’re busy building your Instagram followers, are you sure your ‘target market’ actually use it and will it convert to actual sales in the longer term? Take a moment to look at your website and social media analytics to see where your traffic is flowing to/from. It’s best to do a couple of platforms well, than spread yourself too thinly. Nobody Is Going To Follow Your Brand On Social Media And Here’s Why That’s Okay. Rather than worrying about your follower numbers, focus on how you are creating value and building a community. I’d rather have 100 die-hard fans on a social media page than 10,000 randoms who don’t engage. Provide for your tribe. What’s changing in the macro environment which could drastically change the market, provide an opportunity or wipe out your operations? Map out a quick PESTLE analysis to ensure you’re a few steps ahead. Listen to Dave Linton of Madlug. “I think that social enterprise is built around story. Story of where it's come from, to what it wants to do and the impact it wants to have. Growing & nurturing your network. It’s not what you know it’s who you know... right or wrong? How much time do you put aside each week being your own authentic self to strengthen relationships, provide value for those who are in your network and meet new, interesting people? When looking at your previous work experience, job leads and projects, how many of them eventuated from a cold call or response to an advert, versus through someone in your network? What Meetups could you attend? Which events could you join where your clients or potential collaborators hang out? “Opportunities do not float like clouds in the sky. They’re attached to people. If you’re looking for an opportunity (including one that has a financial payoff, you’re looking for a person,” said Reid Hoffman. If you spend time commuting, audiobooks are a great way to continue learning and challenging your perspectives. Have you read any of these yet? We’re more than halfway through the program now and with our public showcase just 8 weeks way, it’s time for us to step things up and keep the momentum in our favour! The information contained within this Elevate+ Module is intended solely for you and we kindly ask that you do not email, distribute, copy, modify or print this document. You retain sole responsibility for actions and decisions, regardless of whether they are based on options or suggestions provided by Impact Boom. Any information contained should not be construed as legal advice. Thank you for the fantastic energy you bring to the Elevate+ cohort.